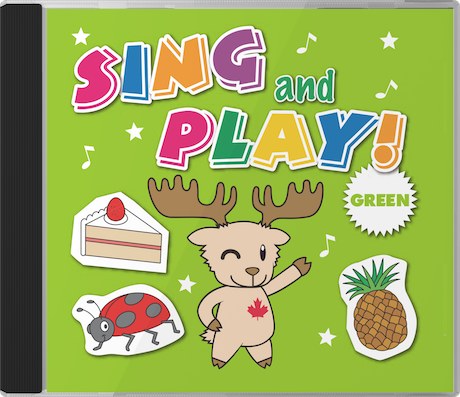 This activity accompanies the Let’s Go to the Farm song from Sing and Play Green. Directions: Point to the different objects in the picture: rock, grass, tree, etc. Have the children repeat after you. If you have enough time, you can also have them color the objects. Introduce the animals one by one. Be sure to engage the children with various questions. 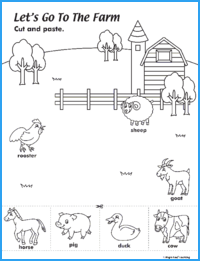 Have the kids glue the animals to the forest scene. If the children are able, you can also introduce some prepositions: “Glue the bear by the tree,” “Glue the squirrel on the rock,” etc.